Don’t put the cassette tape into your vintage boombox. All you need to do is just to insert your headphones into the tape and enjoy your favorite music. If you’re curious, let’s go on checking MakerBot Mixtape 3D printed MP3 player. 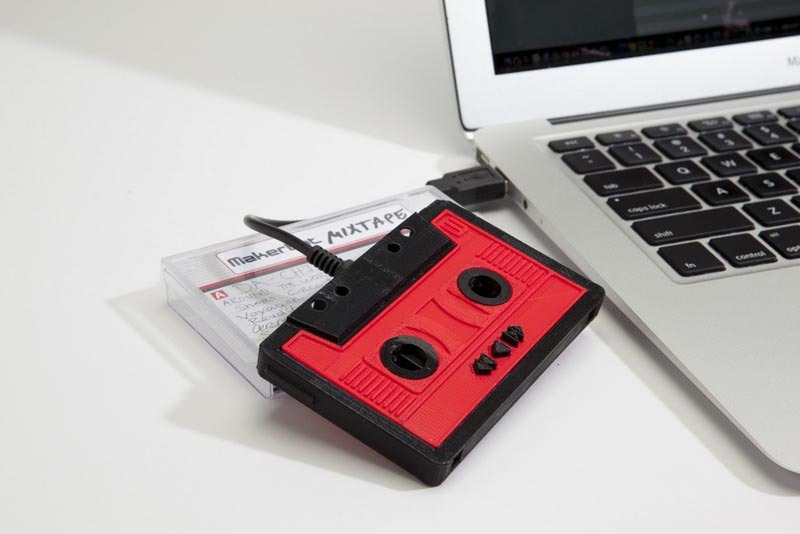 MakerBot Mixtape is a unique designed 3D printed MP3 player. 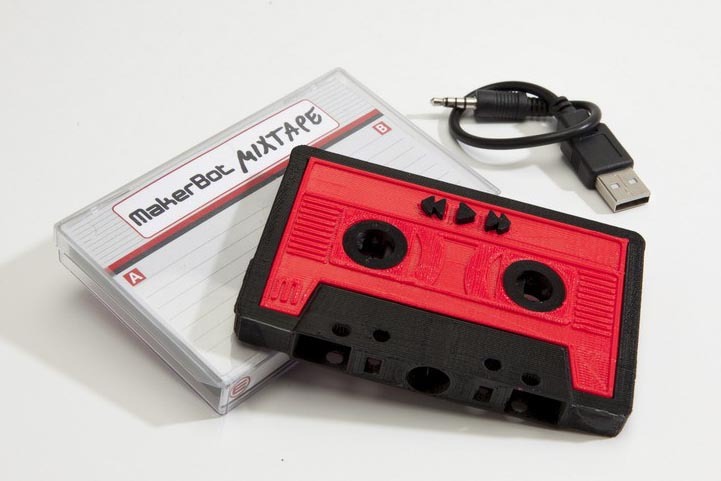 As we can see from the images, the MP3 player is shaped as a real retro cassette tape, and comes with a clear protective case with an realistic cover, but no doubt, MakerBot Mixtape is much more advanced than a cassette tape. The built-in 2GB flash memory holds your favorite songs and albums, while the integrated 3.5mm audio jack allows you to connect your headphones or speaker system. Apart from that, the built-in rechargeable battery offers you 4 hours of music playback. BTW, if you have owned MakerBot 3D printer, you can also use MakerBot Mixtape Kit to make the MP3 player, and loading songs as a great gift for your friend. 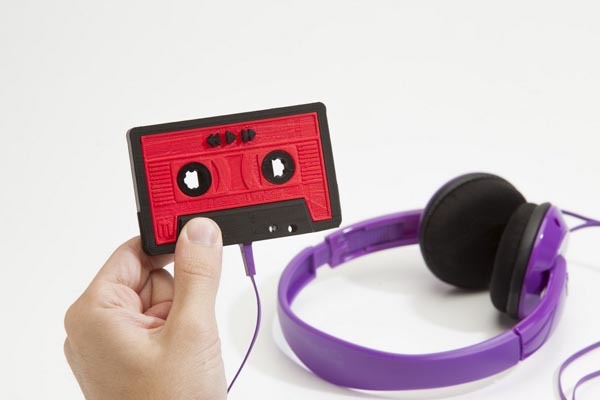 MakerBot Mixtape 3D printed MP3 player is priced at $39 USD. If you’re interested, jump to MakerBot Industries for more details or check out the following demo video first.